The thought of futuristic home care is pretty exciting. Nothing would impact our day-to-day lives more than having a clean, well-kept sanctuary, and if technology can let us have that with very minimal maintenance, that's a reason to cheer. Anyone who's ever dealt with gross dust bunnies or scrubbing nasty bathroom floors knows what I'm talking about. Automating those dreary floor-cleaning tasks would be perfect, and wouldn't you know, there are companies who do just that. You know where I'm going with this, don't you? That's right, ROBOTS. 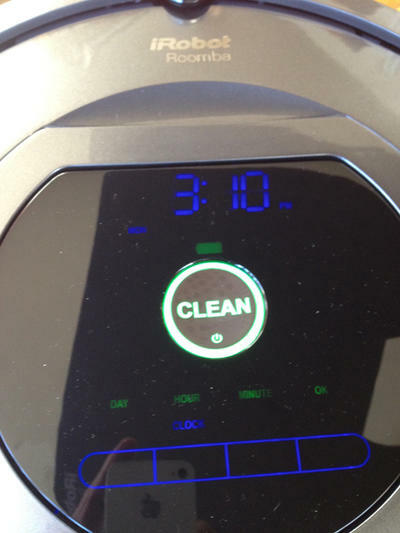 But if these are your idea of robotic vacuum cleaning, you'll have to tweak that imagery just a smidge. 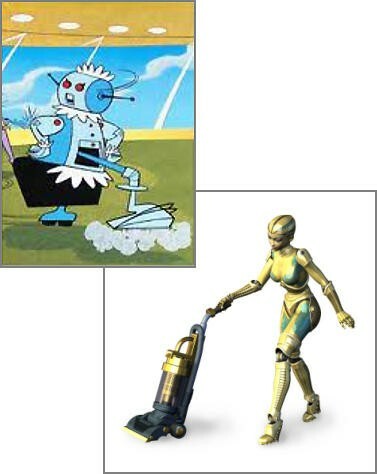 We're not quite there yet with commercially available humanoid housekeepers. What we do have, however, is a suite of intelligent robotic floor cleaners that pack a lot of innovation under the hood. While these machines don't add up to a Rosie the Robot, they are the closest thing we have to rocking our abode Jetsons' style. 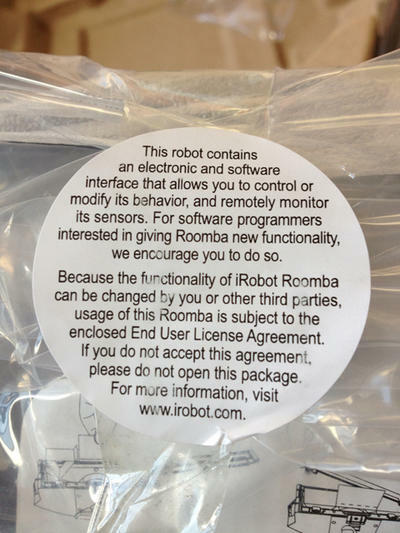 A while back, Mike Perlman and I got a tour of the iRobot facility, and the company graciously loaded me up with some home products to check out. 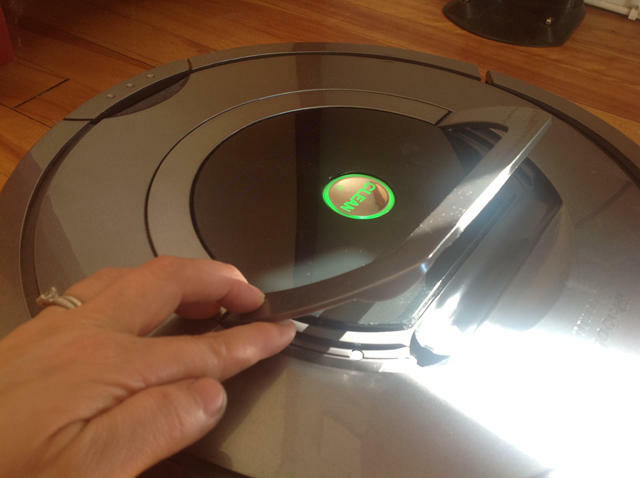 While iRobot's not the only name in robotic housecleaning technology, it is the big kahuna. I've been using its Roomba 780 vacuum, Scooba 230 floor washing robot (small) and the just-announced Scooba 390 (large) floor cleaner for a few weeks now. So if you're interested in knowing if the future of home maintenance has really arrived, you'll want to check out this series of reviews. 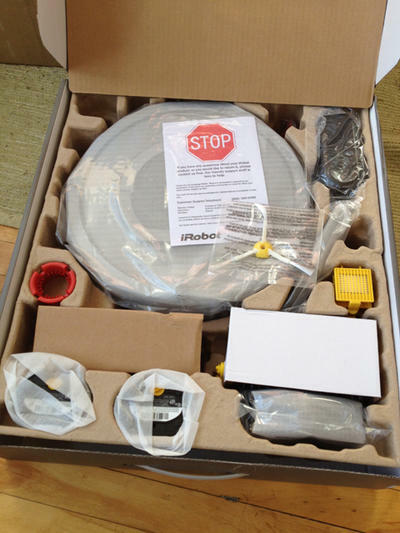 The first, below, focuses on the Roomba 780, the company's current premiere robotic vacuum, which debuted to adoring fans last year. After that, Part 2 will focus on the little floor washer that could, the Scooba 230, followed by big brother floor washer, the newly launched Scooba 390. For details on the specific bots, you'll want to check out each one. If not, then head to Part 4, which sums up my final thoughts on the experience of using all three units, plus some bonus impressions. Okay, on to the first review. When iRobot offered to let me check out this unit, I jumped at the chance. I had been looking into robotic vacuums, particularly one that could deal with the wasteland of hair from my two cats. I was thrilled that the company's latest 700 series of vacuums handles pet hair just fine, without need for a specialized, standalone model. 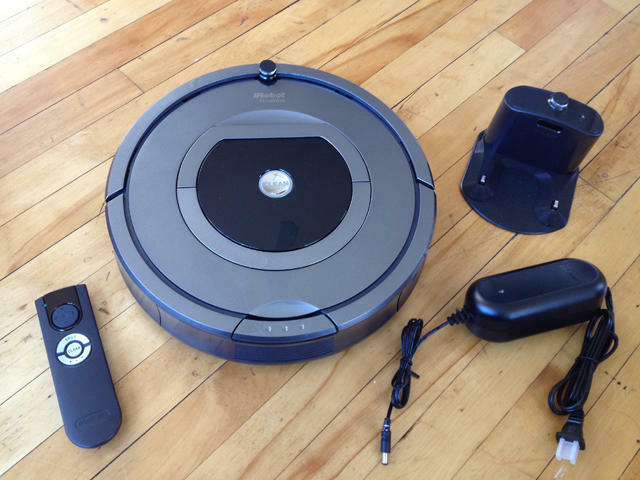 I was given the 780 to check out, iRobot's top-of-the-line premium robotic vacuum. So how did it fare in the real world? Let's take a look. The 780 is an upgrade from the already excellent 770, which Sean reviewed last year. 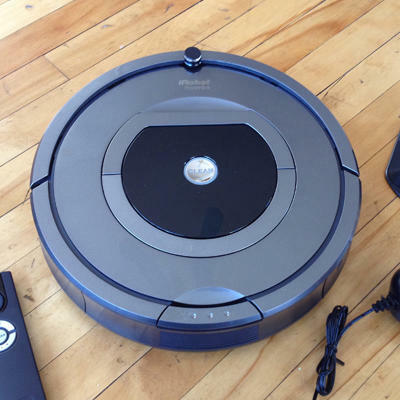 Like its predecessor, this robot offers a snazzy corner-grabbing side brush, seven-day scheduling features, dual HEPA filters, AeroVac Series 2 bin (a larger bin with a powerful vacuum that yanks dirt and debris off the brushes) and second-generation Dirt Detect system (which uses optical and acoustic sensors to find and focus on dirty areas). The vacuum is sized at 13.9 inches in diameter and 3.6 inches in height. The marketing says it's short enough to get almost everywhere, smart enough to go around furniture or other obstructions, and agile enough to step up to our throw rug without dragging it behind or mangling it, and I really found it to be the case in real world usage. What impressed me most was how good the side brush worked — it literally acted like an arm that pulls debris and dust toward it, so they can be picked up by the unit. As a result, the vacuum is able to run along walls and get into corners, which is crucial for any kind of vacuum cleaner. It also tends to slow down when it encountered furniture, gently bumping it to locate it. With soft rubber bumpers, it left no damage at all. And once furniture was located, the device worked its way around it like a champ. As for charge time, it can take a few hours for the battery to juice up fully. (That may be due to its having 50% more capacity now.) Having said that, I've never noticed a problem, since the 780 makes the docking station its home when not in use, so it always stays charged and ready. It also comes with a remote control — which is perfect for guiding it to a specific spot on the floor or beckoning it to come running, to show it off to friends. And you don't even have to leave your comfy spot on the couch. Other pluses include the Full Bin indicator, which was supremely handy for knowing when it's full, a dust bin that's very easy to pop out and empty, and one-touch spot cleaning, to make the vacuum focus on a particular problem area. Just pick it up by the handle, put it on a dirty area and tap the button. Easy. But anyone who thinks this is a set it and forget it, say "good-bye to manual vacuuming" kind of deal might be disappointed. The bins, though generous, weren't quite large enough to clean my entire 1,000 square foot apartment without being emptied at least two or three times. As I mentioned, I also had to keep an eye on the amount of cat hair getting stuck in the brushes. It can be tough enough to remember this with traditional vacuums, but when you're hands off with this, it's pretty easy to let it slip your mind. And finally, although the vacuum is quite short — at 3.6 inches high — I do have low furniture that this couldn't get under, as well as other crevices it physically couldn't get into. This meant that I still had to do some manual cleaning from time to time. The 780 handled dust and small-to-medium debris like a champ. I have friends with severe allergies, and none of them have had any major attacks in my home since I started using the Roomba. In fact, it was so effective, I've begun relying on this as my main vacuum. I thought I would use my traditional vacuum for serious cleanings, and the Roomba for maintenance vacuuming in between, but this got flipped on its head. 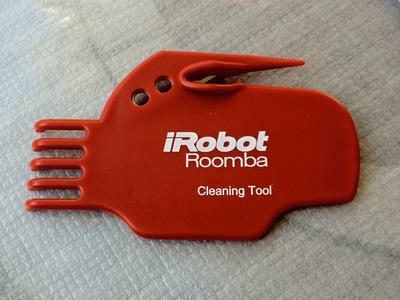 I rely so much on the Roomba that my Eureka stays in the closet, unless I need a quick touch-up on top of baseboards or other areas that the robot can't get to. The 780 does miss a spot here and there, and for that, I grab the vacuum by the handle, place it on the soiled area and hit the spot cleaning control. It doesn't get simpler than that. And because it's an attractive appliance, I don't mind leaving it out in my living room, so it's always accessible (unlike my Eureka upright, which I always have to dig out). Early models of robotic vacuums were harder to use, difficult to maintain, glitchy and subject to multiple mechanical failures. But this 780 is the best of breed right now, having addressed so many of these issues. All in all, I'm very happy with this unit, and I'm utterly convinced that this is the future of home care. The only thing really stopping these robots from taking over floors everywhere is the price. But once that starts coming down, you will be seeing even more of these — and not just in affluent homes. In the mean time, if you're able to afford to spend the money, this is a terrific place to put it. 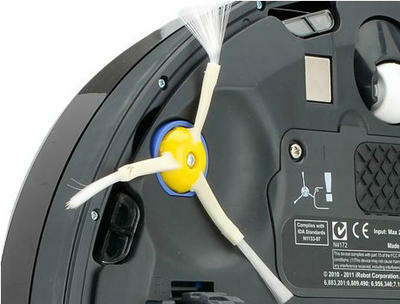 For more details or to order the Roomba 780, check out iRobot's product page here. And don't forget to stay tuned for part 2, a review of the little Scooba 230 floor washer, coming soon!